Hey, This is Ashley's Dad doing a quick guest post for Ashley. By far one of my favorite things to do when going on a trip outside the USA is to hit the local grocery store. It is amazing the stuff you will find. The packaging is hilarious. Crazy colors, crazy phrases, and usually in a different language. Trying something out when you cant read whats in it is half the fun. Some of my favorite foods were discovered this way. Here are my current top pics. 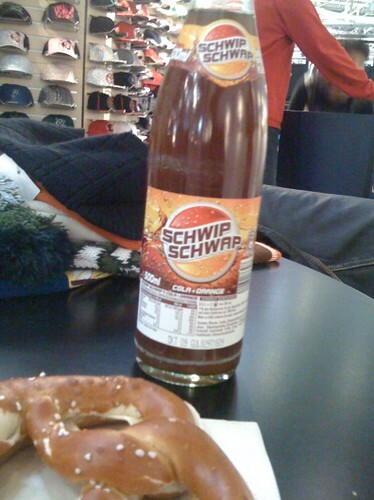 Drinks: Guarana from Brasil and Calpis from Japan are good but by far the best drink to me is Schwip Schwap from Germany. Basically its like Pepsi mixed with orange and lemon. Its not too carbonated and goes great with their enormous buttered pretzels they serve in Munich. Lately Coke has been pushing “Mezzo Mix’ over there which tastes almost as good but it's just not quite the same. 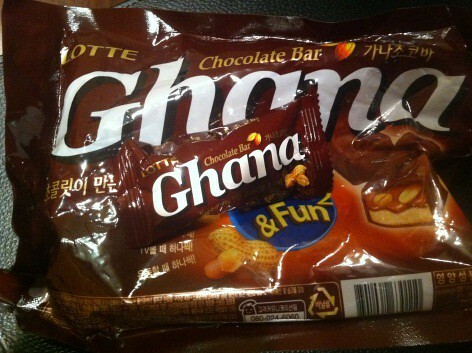 Chocolate: Ghana!, not the country but the Korean candy bar. Put it this way, if you are into chocolate it's kind of like a Snickers that tastes like a Riesen. It's chewy and nutty like a Snickers but has that dark chocolate edge that Riesens have. Other great candy bars in my opinion are the Lion bar which is all over Europe and Asia and the Alpine chocolate bar from Brasil. Ice Cream: Icecream is amazing in different countries. Italy of course leads the way with their gelato but my favorite ice cream bar comes from Finland. Its called Choco. Anyways, after visiting grocery stores in countries from Peru to Thailand, to Russia, I can honestly say it's one of my favorite things to do when traveling. Anyone else do this? What are your favorites? 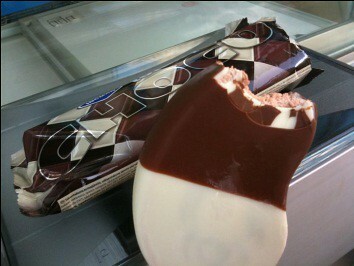 Personally, I love Italian gelato and Kinder Schokolade from Germany! Have a good weekend! 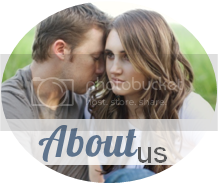 I'll be at the Utah Blogger Meet Up tonight :) Sweet! I love that your dad just guest posted! Yeah zephyr!! HAHA that's awesome. I LOVE Calpis. My grandma always sends it to us from Japan,and mmmmmmmmm it makes my heart pitter patter. I miss that place. Ashley you have a COOL dad! I grew up drinking Guarana! Although not that many Colombians like it but my uncle lived there so he would always send us some. As far as the Schwip Schwap...hmmmm I lived in Germany and I was never able to get used to it. Why does he travel so much? How fun! Haha! Fabulous post! Can't wait to see all of the interesting treasures I'll find in the Italian grocery stores! Ashley- If I'm not able to blog for the next few weeks while I'm in Italy, I'll look forward to catching up when I get back! Wow how adventurous, fun, and brave!!! What a great idea having your father guest post!!! Thanks sharing! Hello Mr. Ashley's Dad! Greaaaattt guest post! I love going to international markets! Especially Japanese ones.. They always have THEE best packaging.. I end up buying stuff cause the packaging is simply adorable..
im from Ghana and i was like mmhmm...i haven't heard of that chocolate..these are great. i do love speciality stores. I want my dad to do a guest post!! That's such a cool idea!!! Your dad did a great job! Sorry, I got a little carried away with exclamation marks back there. It's always fun to see what different countries eat, not so much the 'traditional' foods, but the grocery store foods. I'm not usually game enough to try it if I can't read the label. So kudos to your dad. It was nice meeting you last night :) I put some photos up on my blog, everyone is welcome to steal them or ask me for bigger copies. So i've met you once before in provo...through carly swensen! small world. it was fun seeing you last night, wish we had time to talk longer (i got there so late, ugh)! Unfortunately, I haven't been able to travel too far out of the U.S. but that is a goal for my future...BUT, this reminded me of a place in SLC called Toni Caputos that we used to go to all the time when Warren was in the hospital. They have the best sandwiches and the weirdest grocery store with the coolest foods and chocolates and cheeses. They had a real truffle for sale for $400. I think they have a website. Also, be careful trying licorice from Singapore! Weird stuff. My friend brought me some because I love licorice--it tasted like ammonia.